Aarsun Woods presents solid wood 6 seater dining table in multiple options like luxury, traditional, contemporary and modern.Stylish 6 seater wooden dining set online, perfectly crafted to experience a royal life.Our expert designers have wonderfully crafted a rich variety in 6 seater dining table set to cater to your needs. Nowadays, people get limited to certain options due to the compact dining area in their home. 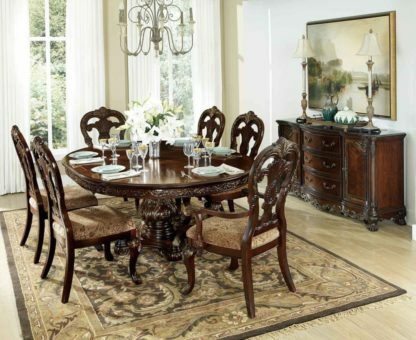 Whether you choose oval shaped dining table or round one between nuclear family which have six people, each will create a focal point in your dining room. 6 seater dining set has captivating looks and can easily blend with any home interior. The Wooden Dining Sets can be used for multipurpose like dinner, party or a small get-together. Sophisticated looks of the product will get you lot of compliments.Extracted from the Teak wood, the oak finish makes it look very clean and impressive. Its understated design, yet classic appeal makes it easy to fit this impeccable furniture product in any interior. 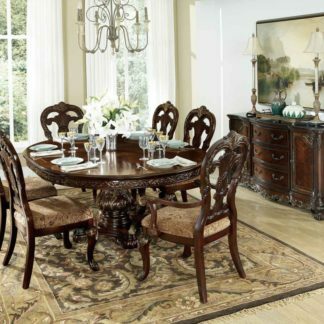 If you also like other Wooden Dining Set , have a look at Oval Shape Dining Table with teak finish,also in case you require Honey Finish rectangular dining table, go for traditionally design wooden dining sets.